Here's a quick look at at some new collections coming up! Misa's Summer 2012 Collection is called Hot Summer, and it's filled with vibrant shades perfect for the season. I'm loving the pink coral and the orange coral shades. These appear to be creme finishes, and with Misa's excellent formula, I'm looking forward to this collection. L.A. Girls has a range of magnetic polishes coming out, and even though I'm personally not that excited about magnetic polishes, I do like the different patterns that are available. 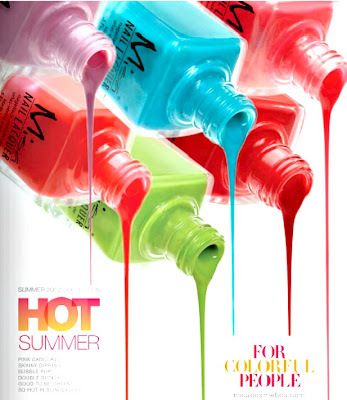 They also recently introduced Fruity Scented Nail Polish! Jessica Cosmetics has a pretty Summer collection coming out soon called Awakening. Always a fan of their formula, I like the looks of the shades in this collection. Neutral, subtle, and a touch of color. The Jessicas look the most interesting to me. wow, those Misa colors are pretty , Jessica a few look like keepers. Oh! 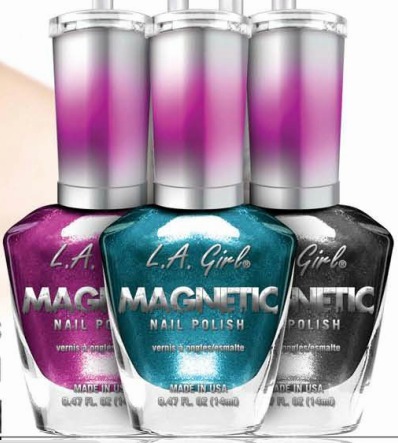 I hope that LA Girl magnets are good. Some of the shapes look interesting. It's time for some different ones. I love the Misas.